GamesCom 2009: One of the more unexpected (and overshadowed) announcements in Sony’s press conference in Cologne this year was that a new Digital Comics service would be headed to the PlayStation 3 and PSP in the near future as part of Sony’s attempt to broaden the appeal of its machines. The Digital Reader system (and yes, that's the official name) will launch with hundreds of other comics available, with dozens of new titles being added every month according to the Sony exec who made the announcement. Announced partners for the system included the heavyweight Marvel Comics, who confirmed that Spiderman, Iron Man, The Hulk and Captain America (we thought he was dead?) would all make a show. Smaller publishers partnered with Sony included iVerse Media, who’ll be bringing Star Trek and Transformers comics to the PSP and PS3, just as they did to the iPhone. No mention at all was made of DC Comics. As well as a splendid selection of graphic novels from all territories, including Japanese manga by the looks of things, Sony seemed to be putting the emphasis on smaller publishers – a theme which ran through the press conference, come to think of it. What exactly Sony meant by “local publishers” wasn’t exactly clarified though – do the mean the graffiti drawn by the kid at the end of my street? Probably not. Marvel especially seemed ready to put a lot of faith into the new Digital Comics platform, despite having been conspicuously absent from the iPhone AppStore so far and focusing on pushing its own digital comics platform. “This could be our most significant platform yet,” said a Marvel CEO who took to the stage at one point. Would you buy comics for your PSP? Let us know your thoughts in the forums. 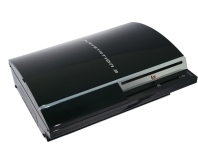 More on Sony at GamesCom 2009: PS3 Slim, PlayStation AppStore announced, Get Gran Turismo PSP for free. 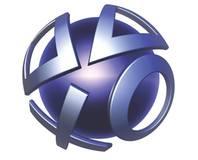 Sony has announced a UK roadshow at GamesCom 2011. 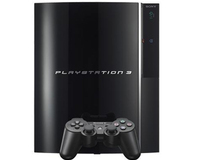 Sony has finally launched a PS3 and PSPGo Video Delivery Service with more than 800 films available worldwide.